The NKCRC Board of Directors is proud to announce that our Executive Director, Christine Richardson, was one of five nonprofit leaders statewide who were recognized for their commitment to making Hawai’i a better place at Hawai’i Community Foundation’s 15th Annual Ho’okele Awards. The Ho’okele Awards, created and funded in partnership with the Wallace Alexander Gerbode Foundation, pays tribute to and strengthens the leadership in the state’s nonprofit sector by providing selfless leaders with an opportunity to renew themselves in their personal and professional lives. As part of the award, Christine will receive a $10,000 grant to be used for her professional development and personal renewal. 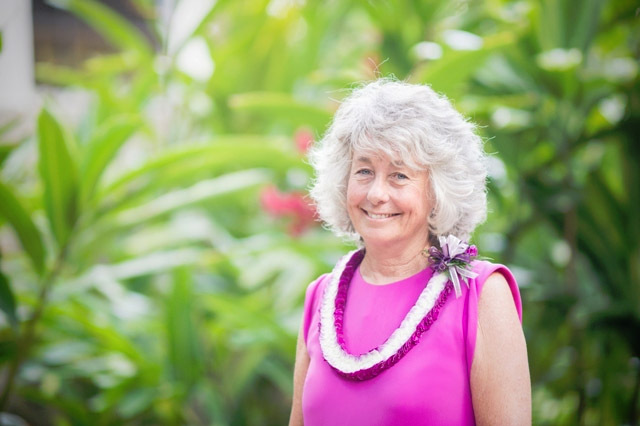 Christine has served North Kohala for more than 22 years as a nurse and nonprofit manager. 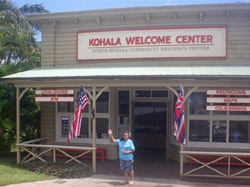 She has been the Executive Director for the North Kohala Community Resource Center since 2005. The staff and Board of the Resource Center are proud of Christine’s accomplishments and appreciate her hard work on behalf of the Center, our 90 sponsored projects, and the North Kohala community.